Today, children’s play is often tainted with boxes to check and points to score. So often teachers will say things like “they think they’re playing, but really they’re learning” to which I think: “What’s the difference? !” and further: “Why isn’t playing enough? Why does there have to be a quantifiable, measurable end”? To me, the type of play that has a parent or teacher hovering, commenting, evaluating, praising, encouraging and of course, teaching, isn’t really play at all. Or at least not the deep flow that I’m thinking of. All children are born with the capacity, and the drive, to get lost in their imagination. But our culture is slowly knocking this type of play out of childhood and instead replacing it with “enrichment”. We’re no longer respecting time spent lost in play and therefore, we are losing play. We fear that if they’re not being taught their shapes and colors, their ABCs… or if what they’re doing can’t be documented and evaluated, then it isn’t time well spent. But independent play isn’t just important for children’s sense of agency, it’s vital for parents, too. Today, when so many of us have no help or extended family around, we need a few moments to shower, to cook, or to work. Having a child with a robust inner world is a gift to us, as well. It means they needn’t be always pacified by a screen. They can “just” play. How can we cultivate this independent play? Set up the right type of playspace. Passive toys encourage active play (an idea brought to us by Magda Gerber). So ditch the battery operated singing-dancing-lights-flashing extravaganza in favor of the tried and true blocks and dolls, and see that your child can create their own fascinating scenarios when they’re not being programmed to sit silently and watch. Consider separating screens from playspace I’m not anti-screens. But passive watching can discourage active play, especially when a TV is on in the background, or a game is available right there. Perhaps having screens available at a separate time or in a separate space than the play area can counterbalance their allure. Don’t overpower your child’s play. When you yourself play with your child, remember that you are the assistant and they are the director. You follow their lead as passively as possible without being disconnected or detached. This trains their muscle to take the lead in play, so that they aren’t reliant on your inner world, but rather on their own. Create a space where they can be alone. Childproof! If you are constantly hovering and watching that they don’t bump their head or play with a plug, you will be interrupting their play and not allowing them into the flow of play. This will also allow you to go put in a load of laundry or take a shower, once they are immersed in play, without worrying (although best to always be within earshot). Have only age appropriate toys on offer. If you’re leaving them to play with a puzzle that’s simply too hard, they will inevitably seek you out because they can’t master it on their own. Save the more difficult toys for when you’re on the floor with them. Examine your expectations. If you think your child doesn’t know how, or is uninterested in playing on their own, you are probably communicating that through your tone of voice, your body language, and the way you setup your space. Our expectations often become self fulfilling prophecies. Consider keeping them close to you. Many children cannot immerse themselves in play unless they feel secure that their caregiver is within earshot or even in sight. The idea isn’t for children to be alone. It’s for their play to be left alone. Use storage that your child can manipulate. If your toy storage is too heavy, too big, or too cumbersome for your child to manage alone, they will inevitably be calling you over for help all the time. Treat play as the natural birthright – not a chore or punishment! Instead of making a whole long speech: “Now I’m busy, you need to go play by yourself, don’t disturb me…” try to keep it as light and airy as possible. “You can play now!”. Just something that is an easygoing thing, a choice that the child has control over..
Don’t praise, comment or evaluate. Praise inhibits intrinsic satisfaction and meaning. Which means that if you tell your child that they’re ‘playing so beautifully’, that is actually going to minimize their interest in playing by themselves. Do not praise it, do not reward it, certainly don’t punish it. This is not an emotional exchange. 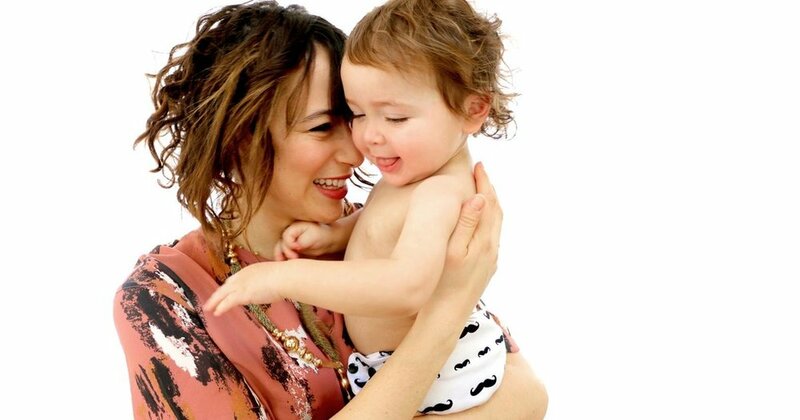 Founder of TheParentingJunkie.com, Avital’s mission is to help parents and caregivers who struggle with chaos, clutter and conflict to transform their experience with young children into one of presence, play and peace. Parents are invited to start decluttering and simplifying their play space with Avital’s guide: 10 East Steps to Transform Your Home into a Play Inducing Haven. Trained in the Simplicity Parenting and Hand-in-Hand parenting disciplines, her work has been published in Huff Post, Motherly and is endorsed by the leaders in the Parenting space, Dr. Shefali Tsabary and Dr. Laura Markham. Avital has a global and thriving community of tens of thousands of individuals through her courses, coaching and blog.